Four-time Olympian Misty May-Treanor will be in the Valley to share her wisdom with the next generation of athletes. May-Treanor will be appearing at Cavazos Sports Institute at 7 tonight to take young Valley athletes “Inside the mind of a champion” — the title of the event. After the talk, May-Treanor will hold a meet and greet. Tickets are still available at CSITrain.com or by calling (956) 451-2017. After a standout volleyball career at Long Beach State during which May-Treanor earned first-team All-American honors and a national player of the year award, she made her Olympic debut in the 2000 Summer Olympics in Sydney, where she competed in beach volleyball. 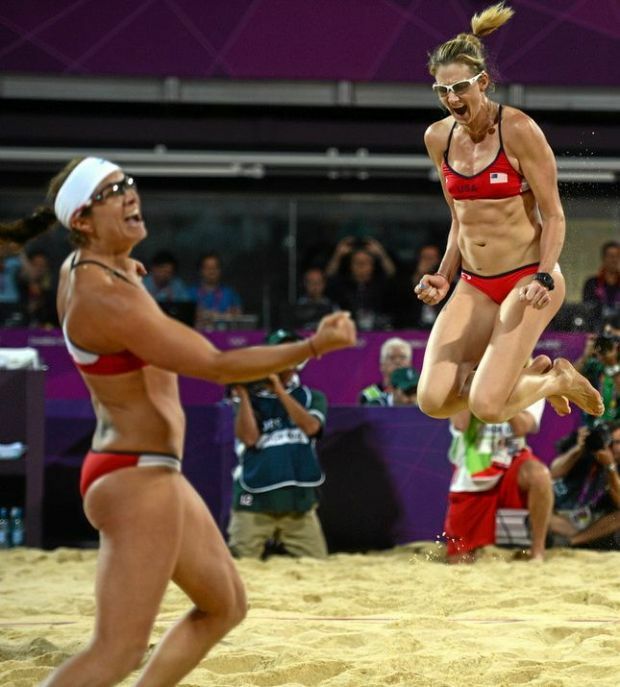 An injury kept her and her partner, Holly McPeak, from achieving the heights they had hoped, but May-Treanor returned the next time around for the 2004 games in Athens with new partner Kerri Walsh, and the two proceeded to take over the sport. They won three straight Olympic gold medals and dominated the professional tour. The duo also won gold at the World Championships in 2003, 2005 and 2007. Through her playing career, May-Treanor said she learned a lot and went through the ups and downs of being a professional athlete. Passing on the advice she has gained is her new passion. She now coaches volleyball at Long Beach City College. May-Treanor retired after the 2012 London Olympics. “My time was my time,” she said. “It was time to step aside and let the next generation develop. May-Treanor said she watched many tremendous female athletes cross barriers and break glass ceilings, which has motivated her to try to make a difference in any way she can. One of the biggest things May-Treanor credits with helping her become such a strong athlete is her ability to play multiple sports as a child. May-Treanor said she never got into the sport for any of the accolades. She doesn’t know her win total off the top of her head. She never set out to win certain awards. She played volleyball for 13 years because she loved it and because she realized she could make a difference with her fame and excellence.